Think Harrogate and its famous history as a spa town comes to mind. But this beautiful and historic North Yorkshire town has much more to offer than just that with a plethora of excellent buildings, gardens and springs as well as proximity to some of the country’s finest countryside. The boutique hotels listed on this page all provide a superb base from which to explore Harrogate and the surrounding area. The Lawrance – apartments in Duchy Road, York Road and Kings Road, Harrogate. The Grafton (*****) is an elegant five star townhouse boutique bed and breakfast situated in Franklin Mount, just a few minutes away from Harrogate town centre. Run by Monica and Mark, the Grafton (pictured top) has thirteen spacious en suite guest-rooms, all decorated to an impeccable standard with stylish bed linens, curtains and wallpaper throughout. The award-winning breakfast at the Grafton uses locally-sourced products such as Yorkshire farm eggs and Yorkshire cured ham. Choose between twin, double, superior double or large double rooms – all expertly appointed with an impressive eye for detail. Harrogate’s Hotel du Vin has been created in a row of Georgian townhouses in Prospect Place just a four minute walk from Harrogate railway station. 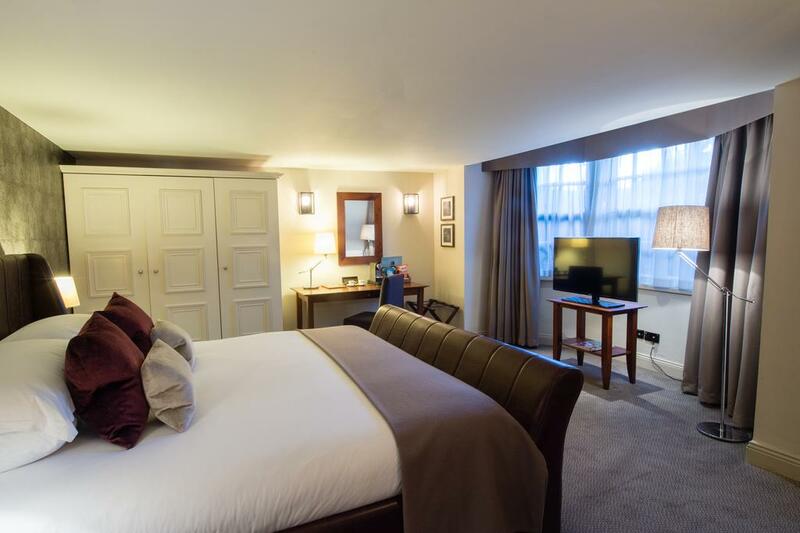 The period property provides for non-uniform room sizes, offering impressive and spacious accommodation as one comes to expect from Hotel du Vin as well as luxurious touches like Nespresso machines and Miller Harris toiletries. Check out the stunning loft suites (Moet Vintage Collection and Dom Perignon) which both have a 10ft bed and free standing cast-iron, roll-top bath. 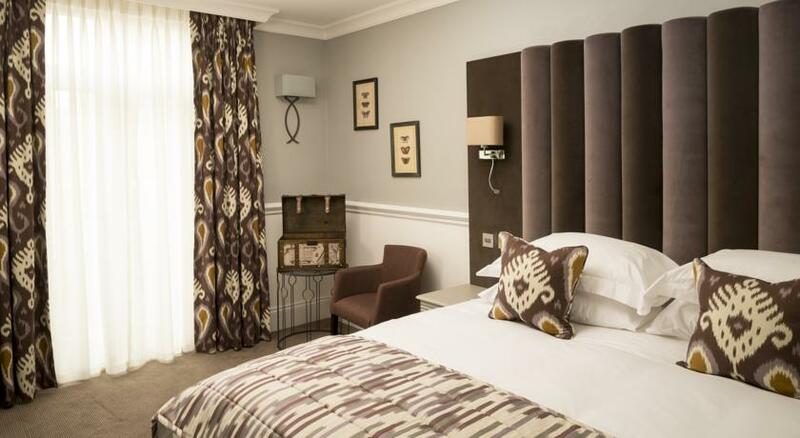 The hotel, which is situated in Harrogate’s old town area, has 48 bedrooms. Located just over the road from the popular Stray – 200 acres of beautiful open grassland – is the West Park Hotel (****). This contemporary hotel offers 25 beautiful rooms, available as Double, Superior, Suite or Penthouse. All the rooms are spacious, furnished to an excellent standard and include free wifi and elegant bathrooms with underfloor heating and L’Occitane toiletries. If you’re visiting in spring, do look out for the beautiful and very instagrammable avenue of cherry blossom on the Stray! 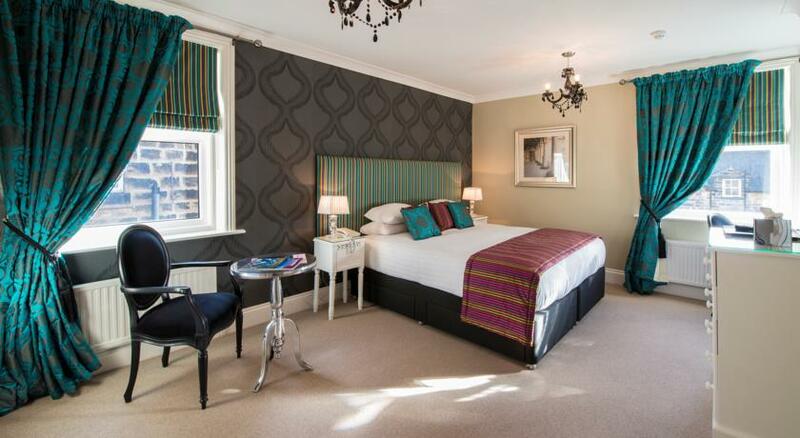 One of the stylish bedrooms at the West Park Hotel in Harrogate. If you’re looking for self catering accommodation in Harrogate with a boutique twist, check out the offering from The Lawrance (****). 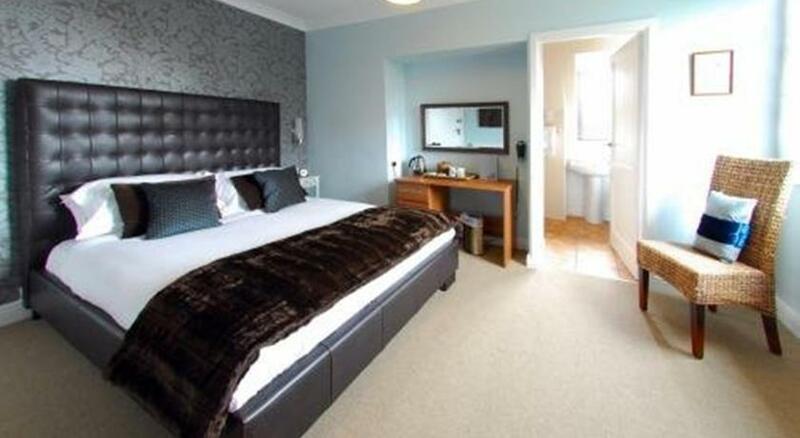 This boutique apart-hotel which has properties in both Harrogate and York, offers superb self contained apartments in three locations in central Harrogate. The nineteen apartments are beautifully furnished to give the feeling of a luxury hotel. There’s free wireless internet and breakfast packs can be ordered but there’s many charming food options just a very short walk from these flats. 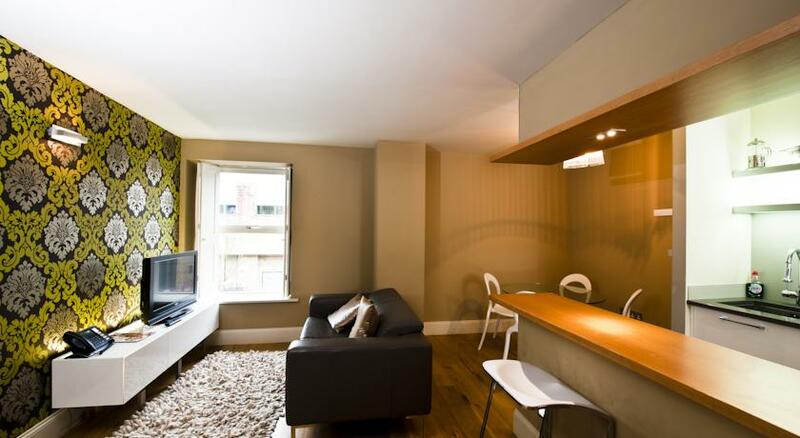 Studio, one, two and three bed apartments are available from this four star provider. The Bijou (*****) is a stylish, boutique B&B located on Ripon Road in Harrogate’s Duchy Estate, just a few minutes’ walk from the town centre. Each room in this handsome Victorian villa is stylishly and elegantly furnished. This tasteful guesthouse provides an honesty bar, piano room and onsite car parking.